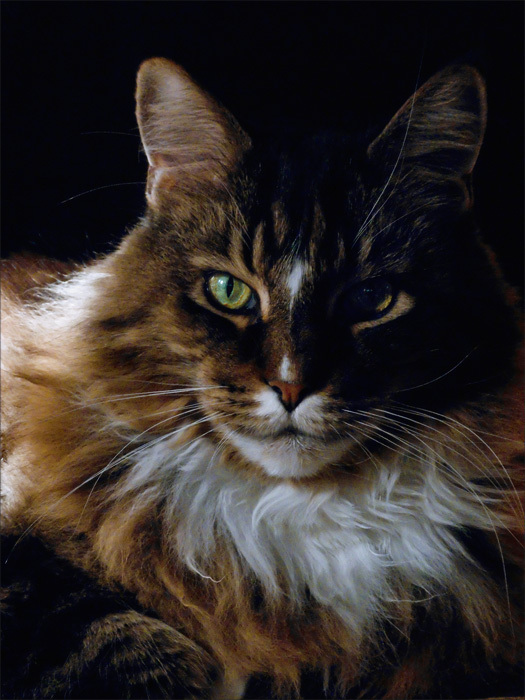 Photographed early November of last year, Fred was just as sweet as he was handsome. It was a joy to have him in our life, and he is sorely missed. Fred was a beautiful cat, I am so sorry for both of you who lost him. He looks like a king and seems to be so wise and serene. His eyes show that. 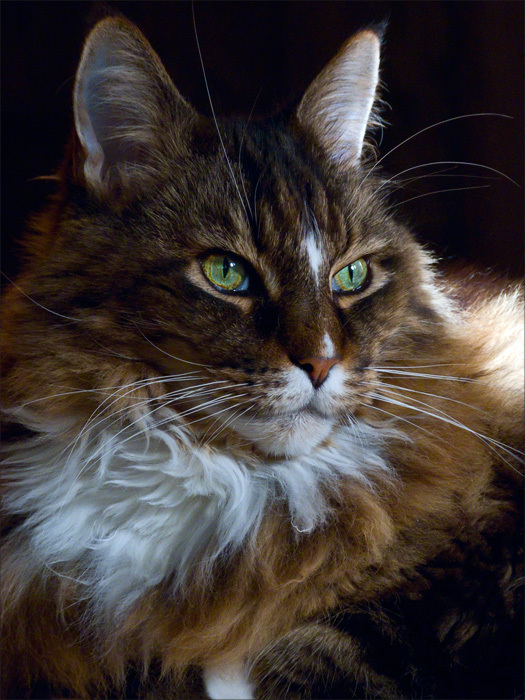 I love to see his fluffy fur, alll the small details you captured that make him one of a kind, and I also love the light in his eyes. His true nature seems to be reflected in his eyes and in his posture. A very nice picture for us, not to mention a nice «souvenir» for you. Don’t you think Fred has a sphinx-like look? I really feel sad for you, April. PS: I’ll reply to your email this week. Fred was a prince, and “serene” is the perfect word to describe his temperament. He gave us many good memories!